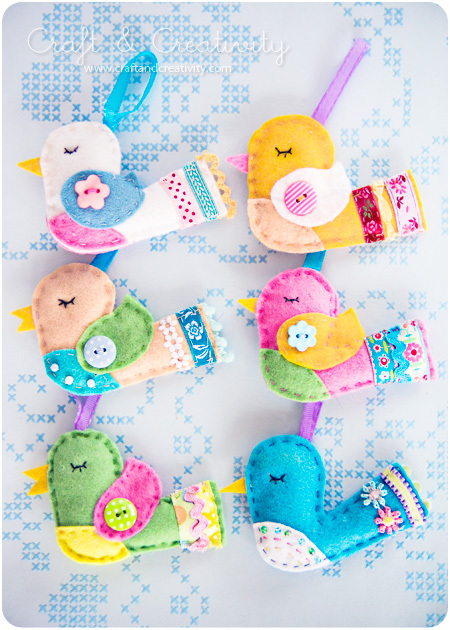 At the blog Paper-and-string, you can download a free pattern for sewing little felt birds. I fell head over heels for these little darlings. A fun ways to use nice ribbons and buttons. Besides, it felt like a great Easter decoration. I sewed the birds together by hand (which I admit was both fiddly and very time consuming). As usual, the most fun part was selecting the colors and combining different trims, ribbons, beads and buttons. To sew the six little birdies by hand required quite a bit of patience. Another option could be to glue the trims in place. The bodies could probably be machine-sewn instead. Istället för godis. / Instead of candy. 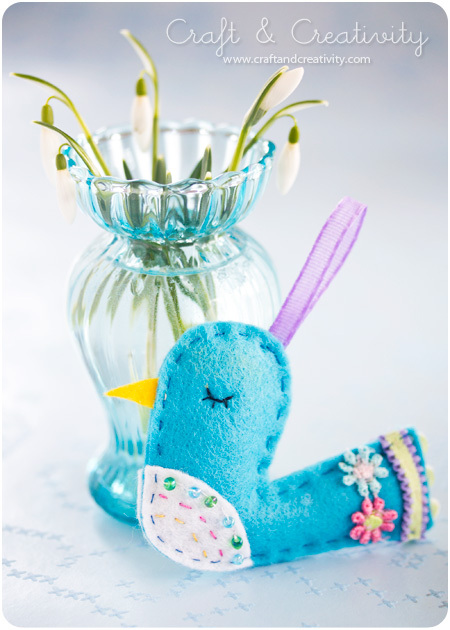 This entry was posted in Pyssel / Crafts, Tyg / Fabric and tagged birds, buttons, diy, easter, felt, inspiration, sew, sewing, template, trims, tutorial by Helena, Craft and Creativity. Bookmark the permalink. 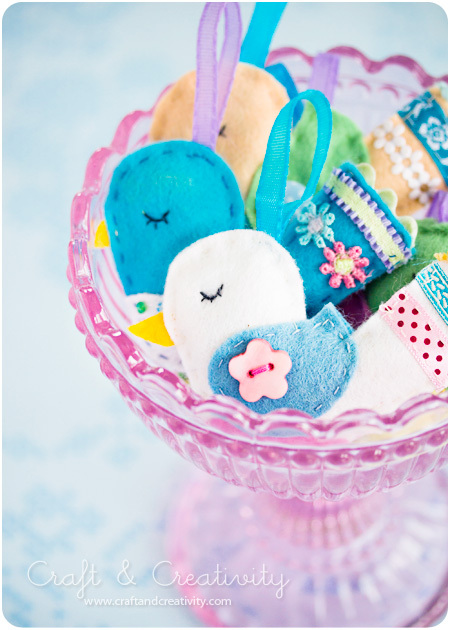 Your little birds are whole lot more than little bit cute, they are adorable and so beautifully made. Won’t get any made before Easter but will make a few anyway for our house and my grand daughters whom still like things made by this old lady. They are 19 and very soon 16, oldest is at college in Northern CA and younger still home.